Home laboratory LFTs (liver function tests) – Is my liver failing? LFTs (liver function tests) – Is my liver failing? Liver diseases are very prevalent worldwide. Abnormal LFTs (liver function tests) are frequently detected in asymptomatic individuals during screening. A study in the US found that 8.9% of healthy individuals had abnormal ALT. This high number of abnormal ALT levels were in part related to the obesity epidemic. In the western world, alcohol and obesity are the most common causes of deranged LFTs (liver function tests) in asymptomatic patients. In Asians and Pakistan in specific, viral hepatitis is still a major burden and is a leading cause of abnormal LFTs in asymptomatic patients. Apart from these common diseases affecting the liver, medications are also a major cause of abnormal liver function tests. Congenital disorders, infections, autoimmune conditions, and endocrine disorders also affect the liver. More often liver diseases have subtle symptoms. These include nausea, vomiting, anorexia, metallic taste, pruritis, and weight loss. Patients may have yellowish discoloration of the skin, sclera, and urine. This is indirect evidence of raised bilirubin. Severe right-sided upper abdominal pain may indicate a gallstone or obstruction to the bile. A person developing altered sensorium (abnormal sleep pattern, drowsiness or complete loss of consciousness) after the onset of jaundice is a very important sign of acute liver failure. Risk factors for the development of hepatic encephalopathy include constipation, infections, low serum potassium, upper gastrointestinal bleeding, and sedative drugs. Altered mental status occurs because the liver’s detoxification ability is lost. This leads to a rise in ammonia levels. 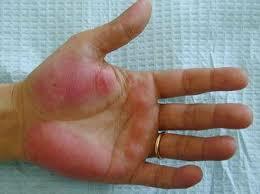 Bleeding or bruisability is another important sign of liver failure. A person who has jaundice and develops epistaxis, gum bleeding, blood in urine, stools or in the skin needs to worry. This is indicative of a defective liver synthetic function. Prothrombin time may be tested in such patients. Blood in vomitus is especially a problem in patients with cirrhosis or pre-existing liver disease. Blood in vomitus may at times be life-threatening and needs urgent hospitalization. Abdominal distension or ascites is a sign of fluid in the peritoneal cavity. 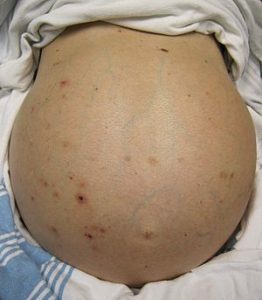 In a patient with cirrhosis, ascites is a sign of decompensation. In patients with worsening of pre-existing ascites, infection in the ascitic fluid called spontaneous bacterial peritonitis should be excluded. 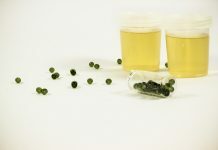 Passing little urine or oliguria in a patient with liver disease is suggestive of renal failure. Renal failure secondary to an advanced diseased liver is called as hepatorenal syndrome. Other causes of renal failure like dehydration, infections, and drugs should be ruled out prior to labeling a patient as having a hepato-renal syndrome. 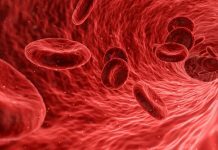 Low blood pressure is always a serious problem but in a patient, with a diseased liver, it may be a clue to underlying gastrointestinal bleeding. Similarly, all patients should be asked about blackish discoloration of stools which is an indicator of upper gastrointestinal bleeding. 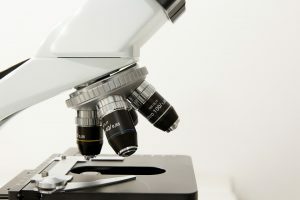 What tests are used to screen for a diseased liver? AST (SGOT) or Aspartate aminotransferase (ratio of AST: ALT is often used when the diagnosis of muscle disorders, fatty liver, and alcoholic liver disease is suspected. AST is high compared to ALT. In acute injury to the muscles, AST will be high. The ratio declines to 1 after a few days). How to find a cause for my abnormal LFTs? After a detailed history and systemic examination, the first step is to determine the pattern of abnormal liver function tests. Is the pattern of LFTs suggestive of liver dysfunction or a disease of the bile ducts with defective bile flow? Cholestatic diseases or diseases causing obstruction to the bile flow (as in stones in the biliary channel and gallbladder) will be primarily seen as a rise in alkaline phosphatase and GGT (Gamma-Glutamyltransferase). Bilirubin may be elevated in both the diseases. To assess the liver synthetic functions, albumin and prothrombin time should be measured. Albumin is usually low in chronic liver diseases like hepatitis B and C related cirrhosis. In acute hepatitis-like hepatitis A, E and drug-induced hepatitis, albumin levels remain normal. Prothrombin time is elevated in acute conditions leading to severe hepatocellular dysfunction. It can also be abnormal in patients with vitamin K deficiency due to prolonged jaundice, defective vitamin K absorption and in malnourished individuals. Failure of prothrombin time to correct after parenteral vitamin K administration indicated severe hepatocellular damage. Bilirubin is found in the blood as conjugated (water-soluble form) or unconjugated form which is tightly bound to albumin. It is the conjugated bilirubin which may be filtered through the kidneys. Since filtered bilirubin is not absorbable, bilirubin in urine is a very early indicator of a diseased liver. After discussing the patterns of abnormal LFTs, one should search to identify any supplements, herbs or medicines which may have caused an elevation in liver function tests. Individuals should be screened for hepatitis B and C serology and fatty liver. If a cause is not yet identified, the patient should be screened for other disorders causing abnormal liver function tests. These include muscle disorders, endocrine disorders like thyroid disease and adrenal insufficiency, celiac disease and anorexia nervosa. If a cause is still not found, other less common disorders should be investigated at this stage. These include autoimmune hepatitis, Wilson disease, hemochromatosis, alpha-1 antitrypsin levels, and adult bile ductopenia. The last step is a Liver biopsy. If a patient is asymptomatic and has elevated liver enzymes less than twice that of normal may be observed. Bilirubin levels rise (in the absence of other liver function abnormalities) as a result of either increased production or impaired conjugation of bilirubin. To evaluate such patients, the first step is to look at the split bilirubin. Bilirubin in the blood is in two different forms i.e. direct or conjugated bilirubin and indirect or unconjugated bilirubin. Indirect or unconjugated bilirubin is elevated in hemolysis (excessive breakdown of red blood cells) and diseases in which hepatic uptake of bilirubin and conjugation is impaired (as in Gilbert’s disease, Crigler-Najjar syndrome, and the effects of certain drugs). Alkaline phosphatase levels are derived from the liver, bones, and placenta. Thus it can rise in pregnancy and young kids where it acts as a marker of bone growth. Diseases affecting the bones like those with fractures and cancers spreading to the bones can also lead to elevated isolated alkaline phosphatase levels. To determine the source of alkaline phosphatase, GGT and 5 nucleotidases should be ordered. Elevated levels of GGT and 5 nucleotidases in the presence of elevated alkaline phosphatase should prompt evaluation of liver disease. The most common liver disorders with raised alkaline phosphatase include bile duct obstruction, primary biliary cirrhosis, primary sclerosing cholangitis, adult bile ductopenia, drugs and infiltrative disorders. A variety of medical conditions are associated with raised GGT. These include pancreatic disease, myocardial infarction, renal failure, COPD, and alcoholism. GGT can be used to determine the source of alkaline phosphatase. Raised GGT with raised alkaline phosphatase is suggestive of liver disease. Almost all patients need an abdominal ultrasound. Fibroscan is a non-invasive test to measure liver stiffness. This test may especially be useful in some cases like chronic hepatitis B infection to decide the initiation of treatment. Furthermore, fibroscan may also be used to follow a patient to see the progression of a disease. Other investigations may include endoscopy, MRCP, ERCP, alpha-fetoprotein, and ascitic fluid analysis. Previous articleNSAIDs/ Painkillers are not chocolates !! CBC or Blood CP – Interpretation of the results.